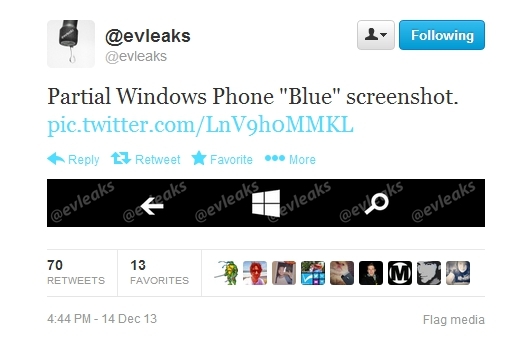 Much has been rumored about the next major Windows Phone update and now we might have confirmation on one of the rumors as a partial screenshot from the infamous @evleaks suggests that Windows Phone 8.1/Blue will feature on-screen navigation touch buttons just like, yes you guessed it right Android! Am not really a fan of this implementation and i would have preferred gestures similar to what Windows 8 offers rather than simply putting the capacitive buttons on to the screen but we’ll have to wait and watch if Microsoft simply copies the Android implementation (which seems to be the way) or go ahead and bring some cool features with the same on-screen buttons implementation. What do you say? Is this the right way to go for Microsoft? 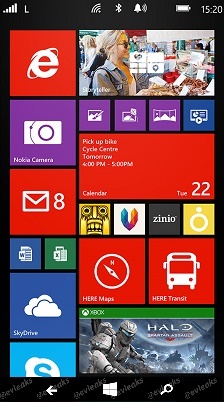 Would you prefer on-screen buttons or gestures or the current capacitive buttons? Sound off in the comments below and let us know..